Map showing the Ice House in relation to Bohemia House (red) or the 'new' buildings The IceHouse shown on the 1834 map still exists and can be found on the bank behind the fire station, in the new Horntye Park car park at TQ 80640995. The late Mr J M Baines one time museum curator described the Summerfields Ice House as a "single bee-hive shaped room dug into the ground, and completely hidden except for its domed roof. It would have been packed with ice during the winter and served as a refrigerator for food". 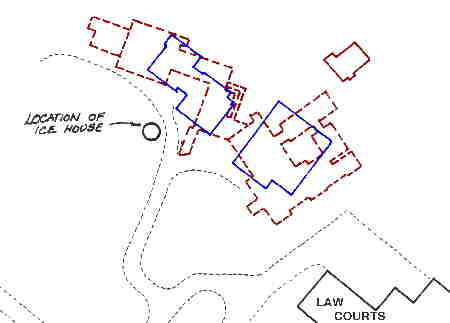 Baines went on to say that "such houses are extremely rare and this house has been preserved in good order". An icehouse is generally comprised of a deep brick lined well surmounted by a domed or sometimes pyramidal roof. An entrance passage sometimes with a curve would be fitted with two doors to prevent the ingress of heat. The ice would be cut in the winter from shallow ponds and stacked on a bed of straw and also covered in straw. A drain would be provided in the bottom of the icehouse in order to drain off the meltwater. The building would often be built into a bank and covered with earth in order to insulate it thermally. The general assumption is that such buildings would be used for the preservation of meat and fish: however this was not the case; ice was used to make the icecreams, chilled drinks, sylabubs and so on consumed during the summer months and the ability to provide these exotic luxuries would raise the owner's social status. The development of compressor driven refrigerators in the latter part of the 19th century rang the death knell for these structures. In 1972 all of the upper entrance was visible (top left on above section). The roof to the entrance was subsequently destroyed because it was mistaken for an air-raid shelter. It is possible at the time of demolition of Summerfields House that the demolition contractors were probably unaware of the existence of the icehouse and part of the entrance door was mistaken as being an air raid shelter and was damaged by them. This is likely to be another example of the Council attitudes to historical artefacts. They just were not interested. In conservation. Their lax attitude prevails and there does not appear to have been mention of this subterranean relic within the planning consent given for the development of the sports pavilion. 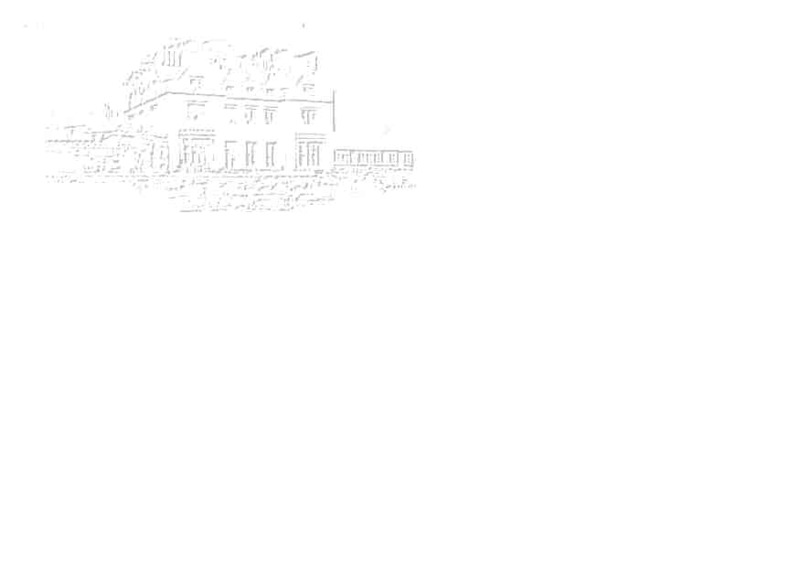 Car parking for Horntye Cricket Ground is proposed to be constructed very near to the site of the icehouse. An enquiry with the Hastings Planning Office revealed that the structure was not listed and not afforded no protection in law. Listing was finally achieved in May 1999 (see below). 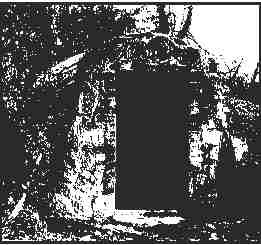 The Ice House in Feb 2000, the brickwork on the left is near the top of the left hand side of the top entrance, the ice house is buried. 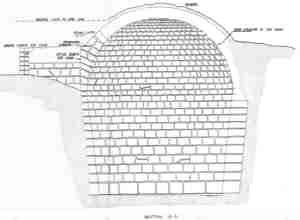 Feb 2000, the rendering of the dome of the ice house is just below the surface, the remains of the top entrance is on the left, only the roof to the entrance appears damaged. Ice house. Early Cl9, thought to have been part of Westel Brisco's improvements to the Bohemia Estate following his purchase of the house and grounds in 1831, but first shown on the Ordnance Survey Map of 1873. Built of coursed local stone with dome covered in cement render and having remains of brick and stone to collapsed entrance tunnel. Consists of a semi -subterranean single beehive-shaped chamber measuring 3.7m. Square on plan and 5.5 m. in height built into a north facing bank. The main entrance on the south-west side was by a short tunnel, now demolished, which arrived in the chamber at mid level At low level, when last inspected, the outline of a door could be seen though it was not known where it emerged. The floor of the chamber contained a drain outlet. 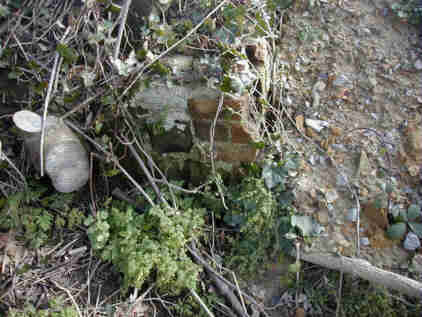 At the time of inspection the site was overgrown and only the top of the dome and parts of the entrance tunnel were visible. The ice house was adjacent to a courtyard fronting Bohemia House. Bohemia House was demolished c1972. 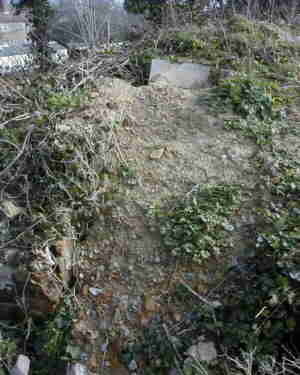 At time of inspection this was the only known ice house in the Borough of Hastings. 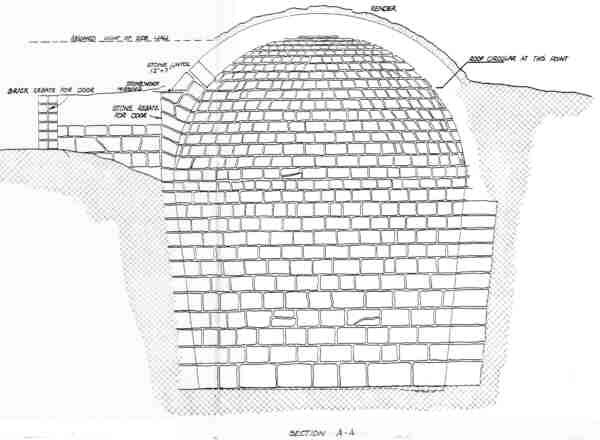 A survey drawing of the Ice house, Ref. No. 839 was produced in 1984 by the then Planners Department of Hastings Council. 13th May 2005, the refurbished Ice-House is formally opened by Anne Scott, chair of the Old Hastings Preservation Society with Chris Thayre, Chair of Horntye Park looking on.